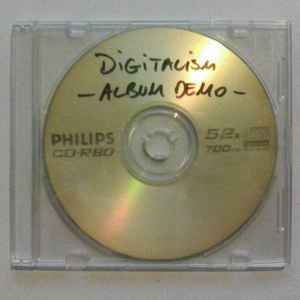 Self burned demo CD from their very beginning send out to labels to get a record deal (!). No additional info. 8 tracks, incl. 3 different versions of "Idealistic" (track 1-3), "Anything New" (track 4), "Pogo" (track 6), "Zdarlight" (track 7) as well as their version of White Stripes' "Seven Nation Army" (track 8). Upload it on youtube!!! At least the white stripes cover!! !